TCH's executive team brings deep expertise and many decades of experience to managing industrial strength payments systems, developing next generation payments technology, and engaging with the regulatory, legislative, legal, and law-enforcement communities to contribute to the rulemaking and standard-setting process affecting the banking system. Our executive team works on behalf of the industry to meet their needs, those of their customers, and the overall financial system. 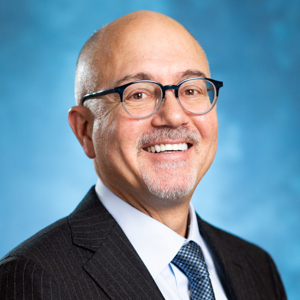 James Aramanda serves as President and Chief Executive Officer of The Clearing House, a 165-year old enterprise that operates as the largest private-sector payment system in the United States, clearing and settling approximately $2 trillion in bank-to-bank payments each day. The Clearing House is owned by 25 of the largest commercial banks in the U.S., whose CEOs comprise the organization’s Board of Directors. In this capacity he also oversees The Clearing House Association – the nation’s first banking trade association. The Association engages with U.S. and global regulators and policymakers on behalf of The Clearing House’s member banks, advocating for safe, sound and effective payments regulatory policy. Aramanda has led The Clearing House since 2008 when he assumed leadership of the organization at the height of the financial crisis. In this role, he oversaw the growth of The Clearing House Association, which has brought a research and data driven approach to advocacy in order to help inform the development of the post-crisis regulatory framework. Throughout the Dodd-Frank rulemaking process, the Association had become recognized and respected as a leading source for factual data-driven analysis to inform the rulemaking and policymaking processes in the areas of financial and payments systems regulation. In this capacity, The Clearing House has frequent interaction with leading regulators and policymakers, including regulatory agency heads, Federal Reserve Bank presidents, and legislators. Today, the Association focuses on all payments related rule and policy making processes. On the payments front, The Clearing House, under Aramanda’s leadership, is leading the implementation of faster payments in the U.S., with the development of the RTP system which went live in 2017. This is the first new industrial strength payments rail to be introduced in the U.S. in over four decades, bringing new levels of speed and safety in payments to businesses and consumers. Prior to joining The Clearing House, Aramanda was Group President of Automatic Data Processing, Inc., leading the brokerage, claims and dealer-service businesses in 50 countries. Prior to ADP, Aramanda served as Vice Chairman of Mellon Financial Corporation and was a member of its Executive Committee. During his 25-year tenure at Mellon (now Bank of New York Mellon), he was the executive officer responsible for many of its businesses, including treasury services, cash management, brokerage services, securities services administration, and Buck Consultants (a global HR benefits consulting and pension actuary firm). Aramanda is currently a director of the Bergen County United Way. He is a past director of Solium Capital, Inc., and CIBC Mellon, and was a member of the Farmer School of Business Advisory Board. Aramanda earned a Bachelor of Science degree from Miami University in Oxford, Ohio. Mr. Alexander is the Executive Vice President and Chief Information Officer for The Clearing House and is responsible for directing and coordinating all technology and operations across the Company. 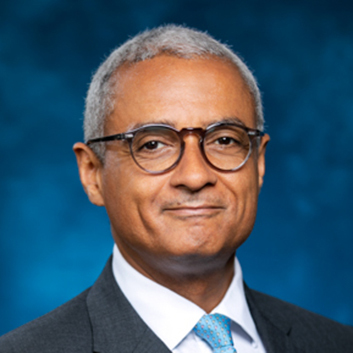 Prior to joining The Clearing House, Mr. Alexander was Executive Vice President, Chief Information Officer, and Head of the Technology Group at the New York Federal Reserve Bank, where he also served on the Bank’s Management Committee. Prior to being named Head of the Technology Group and CIO, Mr. Alexander led the Bank’s application development efforts, and was instrumental in the development of a Bank and System-wide architecture and for the development and completion of the Fedwire modernization. Mr. Alexander has more than 25 years of international management and development experience with premier firms in the technology and financial services industry including Oracle and AXA Equitable. Mr. Alexander holds a B.Sc. in Computing Science and an M.B.A. from the University of Glasgow in Scotland. Mr. Cadman is the Executive Vice President and Chief Auditor for The Clearing House and is responsible for directing and coordinating audit assurance activities across the entire Company. Mr. Cadman has over 25 years’ of global financial services experience. Prior to joining The Clearing House, Mr. Cadman held several senior positions at Citigroup, most recently as the Managing Director and Chief Auditor for the Operations & Technology functions within the Institutional Clients Group which encompassed Capital Markets, Transaction Services, Investment Banking and Private Banking. Prior to joining Citigroup, Mr. Cadman worked in various Risk & Technology roles for HSBC, Standard Chartered and Salomon Brothers based in London. Dave Fortney is Senior Vice President, Product Development and Management for The Clearing House. In this capacity, Mr. Fortney is responsible for defining strategy, identifying synergistic opportunities and overseeing the development of new products for the company. Currently, Mr. Fortney is leading The Clearing House’s initiative to develop, pilot and launch a secure digital payments tokenization system. Mr. Fortney has deep expertise in conceptualizing and growing innovative e-Finance ventures for financial institutions, financial technology providers and emerging payments companies. Prior to joining The Clearing House, Mr. Fortney held executive roles at Metavante Corporation, including President and General Manager of the organization’s ePayment Solutions Division and Chief Technology Officer. 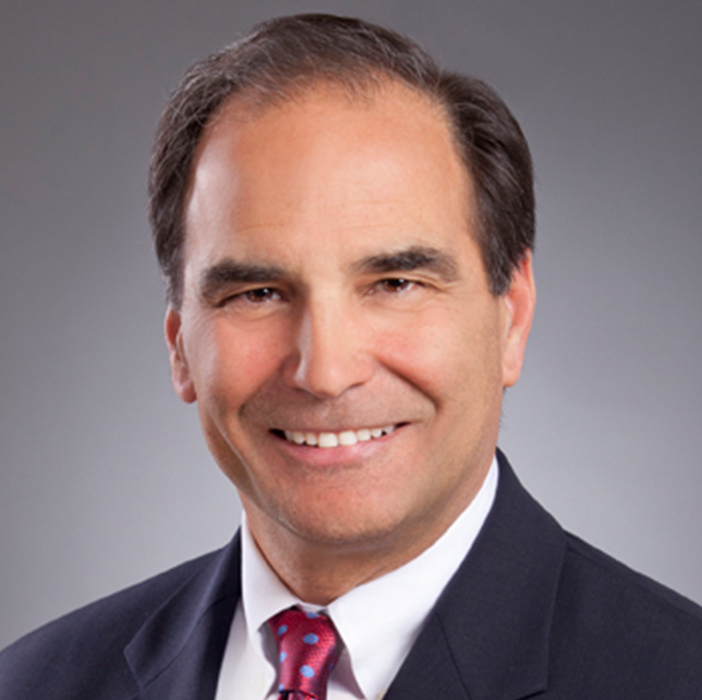 Previously, he served as EVP and CTO of Paytrust, an online bill management company and as Senior Vice President of Payments and Access Strategy for Bank of America, where he was recognized by former CEO Hugh McColl with the “Crystal Hand Grenade” Award for contributions to the bank’s pioneering e-commerce and electronic payments initiatives. Mr. Fortney has served on a variety of industry associations, including a term as Chairman of the eFinancial Enablers Council and a Board Member of The Milwaukee Institute and The Electronic Funds Transfer Association (EFTA). A Morehead Scholar at the University of North Carolina, Mr. Fortney graduated with a Bachelor of Science in Mathematics and earned a Master’s degree in Operations Research from Stanford University. Stephanie Heller is Executive Vice President and General Counsel of The Clearing House. Prior to joining The Clearing House, Ms. Heller was a senior vice president and deputy general counsel in the Legal Group of the Federal Reserve Bank of New York. During her tenure at the New York Fed, which spanned nearly 27 years, she provided legal support to the operations areas of the Bank, including funds and securities transfer services, cash and currency distribution and fiscal agency services, as well as providing legal support to the Bank on technology and procurement matters. Ms. Heller is a member of the American Bar Association’s Business Law Section. Ms. Heller chaired the Business Law Section’s Uniform Commercial Code Committee from August 2003 to August 2006 and then served on the Section council until 2010. Ms. Heller is a member of the American Law Institute. She currently is a member of the Permanent Editorial Board of the UCC. She formerly served as a member of the Association of the Bar of the City of New York, Uniform State Laws Committee. Ms. Heller was for several years on the adjunct faculty of Brooklyn Law School where she taught commercial paper and payments systems. Ms. Heller served as the American Bar Association adviser to the 2002 UCC Articles 3/4/4A drafting committee which was established under the auspices of the Uniform Law Commission and the American Law Institute. She was one of the reporters to the American Bar Association Task Force on Stored Value Products. She co-authored "The ABC’s of the UCC: Article 4A Funds Transfers" (ABA 1997; revised 2006; third edition 2014). She has also published numerous articles concerning legal aspects of funds transfers, check collection and e-commerce and lectures on payment law topics. 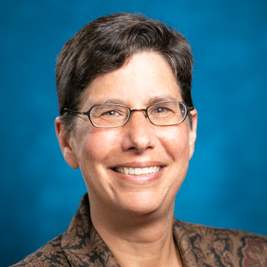 Ms. Heller earned her law degree from New York University in 1991 after earning a Bachelor of Science degree in mathematics from Stanford University. Mr. Kanefield is the Executive Vice President and Chief Risk Officer for The Clearing House and is responsible for directing and coordinating risk management activities across the Company. Prior to joining The Clearing House, Mr. Kanefield was Senior Vice President, Chief Risk Officer at MERSCORP, where he served on the company’s Management Committee and worked with the Board and Risk Committee of the Board in establishing and developing the risk management program. Mr. Kanefield has over 25 years of risk management, strategic planning, and operational experience having previously work in several senior roles at Ernst & Young and Fannie Mae. Mr. Kanefield holds a B.B.A. from Emory University and an M.B.A. from the University of Maryland’s Robert H. Smith School of Business. Russ Waterhouse is Executive Vice President of Product Development and Strategy at The Clearing House. In this role, Russ oversees the evolution of The Clearing House’s core payments products (CHIPS, ACH and check image exchange) and leads its innovation efforts to support the next generation of safe, reliable and efficient payment systems for banks and their customers. Current priorities include the development and implementation of tokenization in payments and a real-time retail payments system. Russ combines expertise in technology, product development, financial services and corporate management, garnered from more than 25 years of experience with diverse U.S. and Canadian organizations. 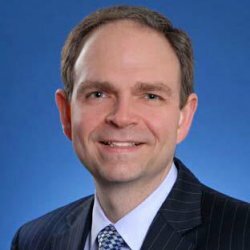 Prior to joining The Clearing House, Russ was the President of Computershare Ltd. North America, President and Chief Executive Officer of Computershare Trust Company of Canada. He spent 10 years with Mellon Financial Corporation, holding several key roles, including: Group Vice President of ChaseMellon Shareholder Services, Chief Operating Officer of the R.M. Trust Company of Canada, Chief Financial Officer of Mellon Investor Services and Chief Financial Officer of The R.M. Trust Company of Canada.